This year — on the 15th of January, 2019 — Dr. Martin Luther King, Jr. would have turned 90 years old. He was born 15 January 1929 in Atlanta, Georgia. And those of us old enough to remember know only too well that he died 4 April 1968, on a motel balcony in Memphis, Tennessee, the victim of an assassin’s bullet. 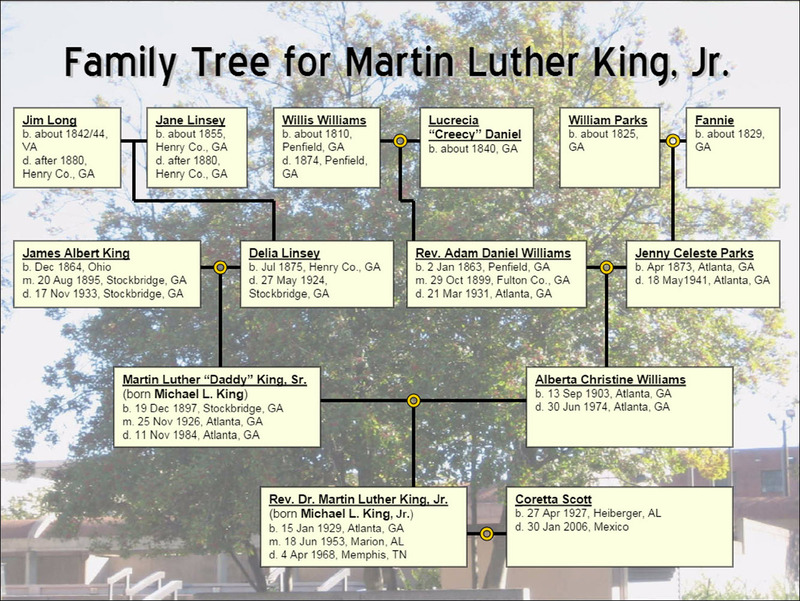 The Legal Genealogist couldn’t begin to list the legal changes that have occurred in the United States as the result of the life and the work of Martin Luther King, Jr.
Cite/link to this post: Judy G. Russell, “From the Roots of a Tree: 2019,” The Legal Genealogist, posted 21 Jan 2019 (https://www.legalgenealogist.com/blog : accessed date). I cannot for the life of me imagine why that comment was even written, much less actually posted to this blog. Judy, thank you for the link to the family history information on Rev. Martin Luther King, Jr. I took the time to read through the 39 pages on his family origins. I had not seen this and appreciated learning more about his ancestors.